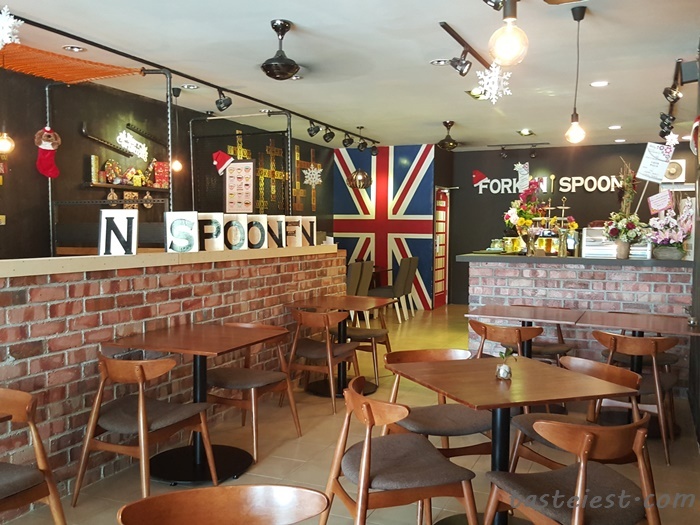 Fork N Spoon Restaurant located at Sungai Petani offering wide range of Western Food + Japanese Food + Thai Food. 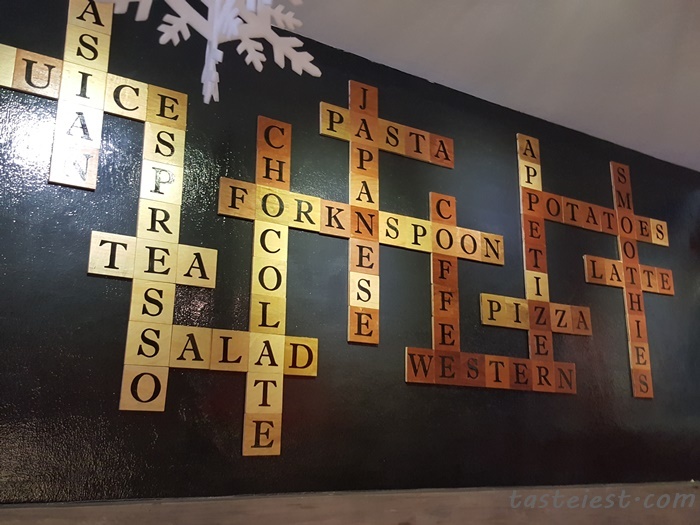 There is so many item to be choose from the bible thick menu. 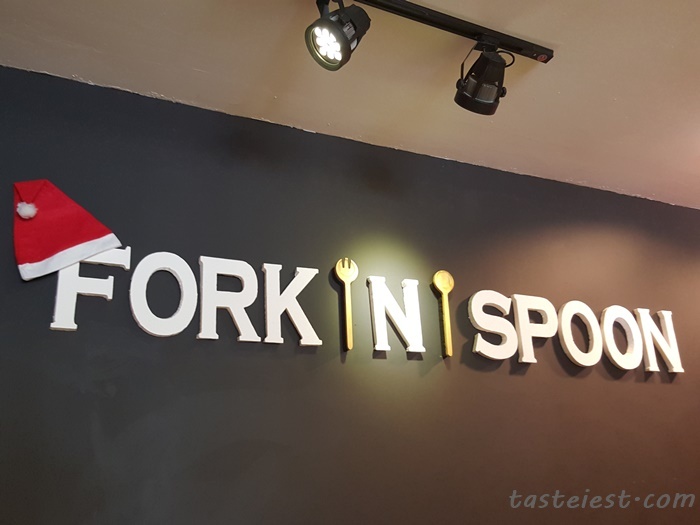 The restaurant well decorated with small decorative item on the wall especially the Christmas Theme during our visit. 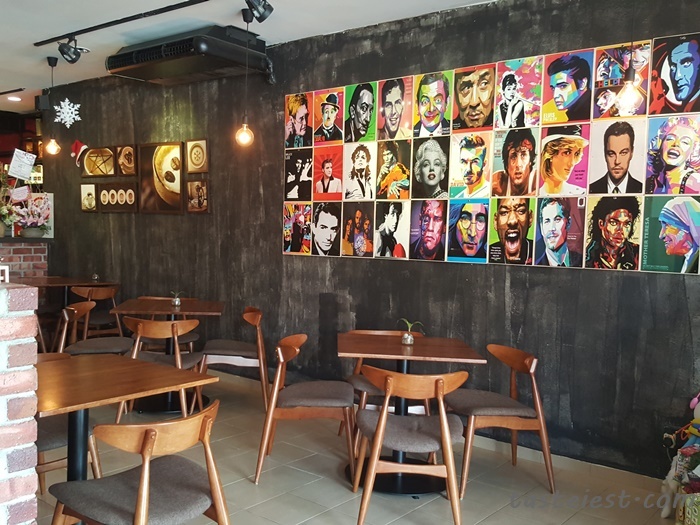 Really in love with their decoration especially this wall where portrait are artistically hanging on the wall. 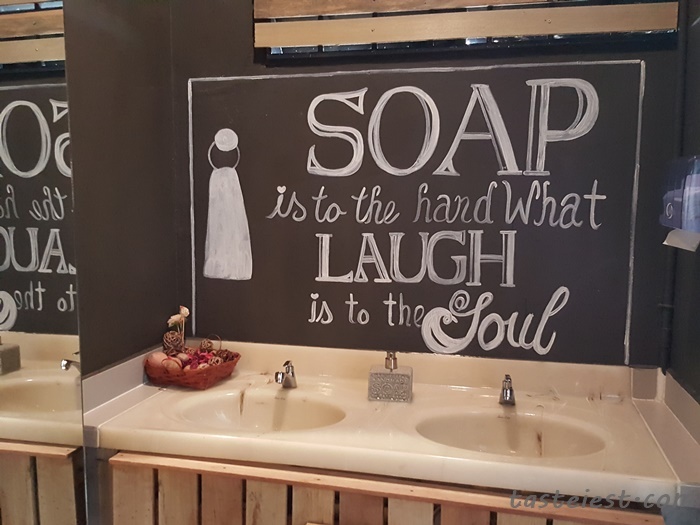 Even their pathway to toilet are fill with wall art. 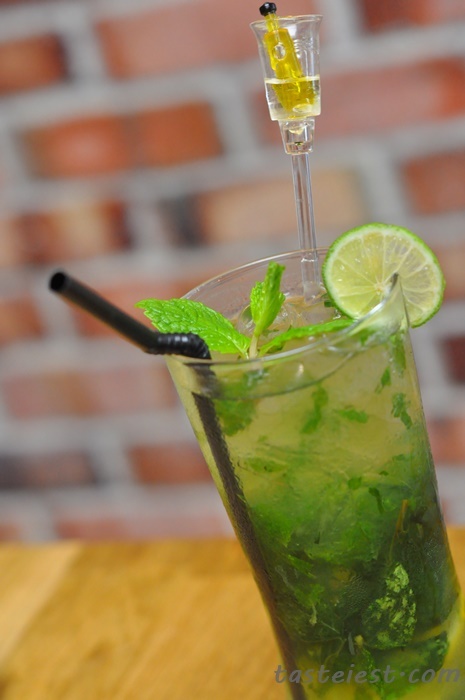 Mojito RM10.5, very refreshing drink with strong mint fragrance. 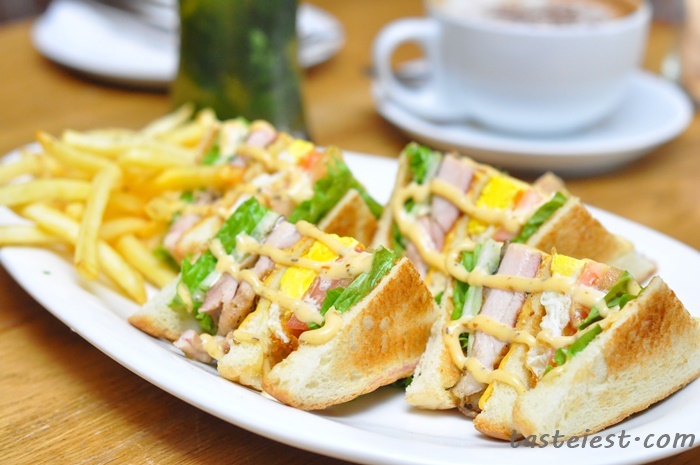 Club Sandwich RM11, our very first respond was OMG…this is HUGE! Toasted bread sandwich with lettuce, egg, cheese, tomato, cucumber and roasted chicken. Marinated chicken are extremely flavorful, together with crunchy fresh vegetable making it a great combination. 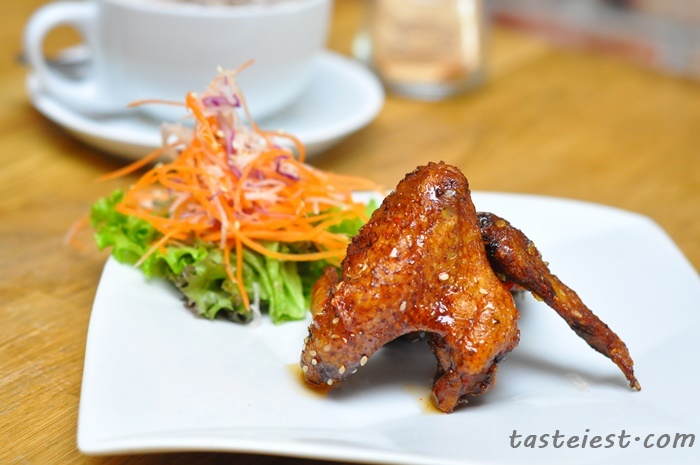 Buffalo Wing RM7, marinated chicken wing deep fried then coat with a layer of sweet sauce. It is so juicy and flavorful. 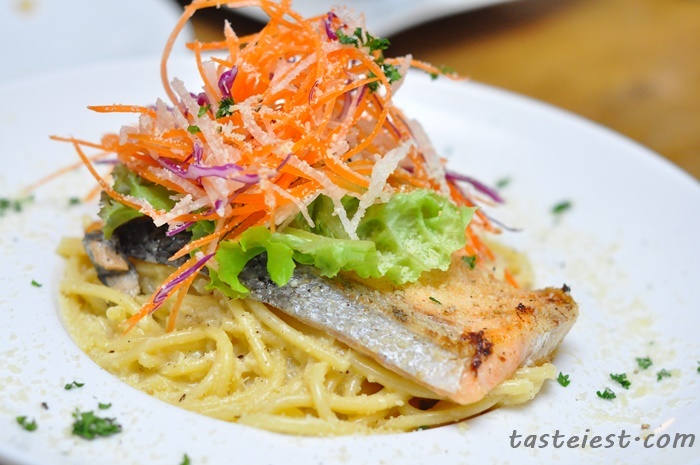 Salmon Spaghetti RM19, big chunks of grilled salmon served on top of a pool of Carbonara Spaghetti. Spaghetti sauce are nicely done to flavor, not too thick instead it is very smooth especially the creamy taste. 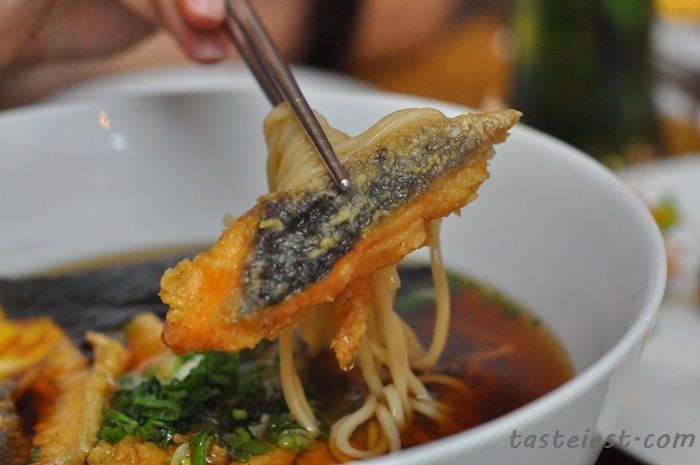 Salmon Ramen RM19, soyu based soup that taste savory with mild sweetness. 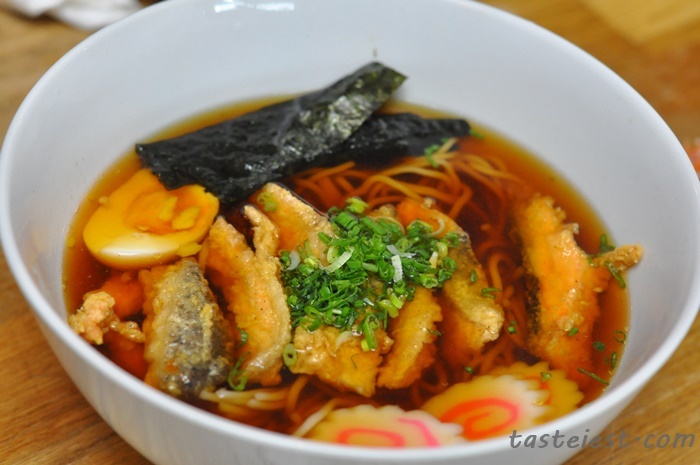 Thin ramen are extremely smooth with a little bit chewy texture, taking together with the fresh salmon is just awesome. Thai Seafood Fried Rice RM10, something different on the menu that I would highly recommended. 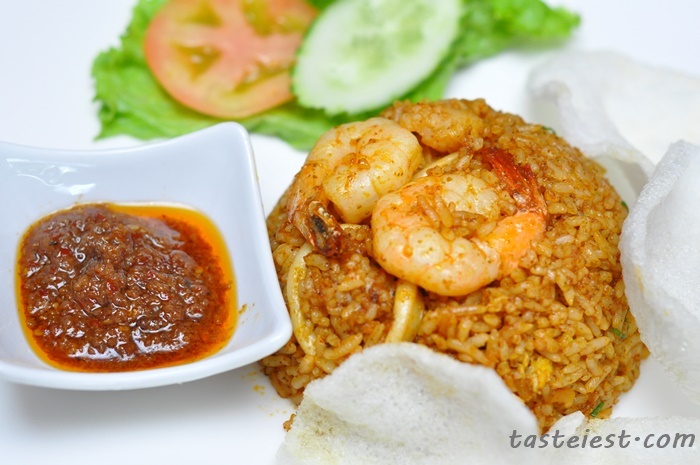 The Thai Seafood Fried Rice consist of two big prawn with squid, fried together with rice in special spicy sauce that is extremely flavorful and not too spicy. 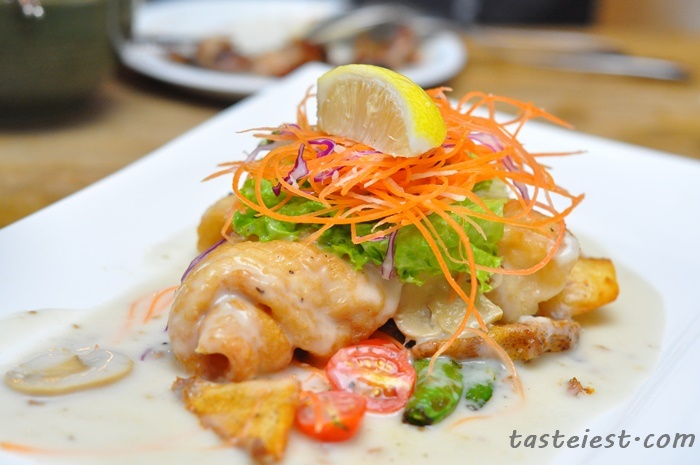 Fish Fillet RM16, two big slices of grilled fish fillet top with mushroom sauce with side salads. 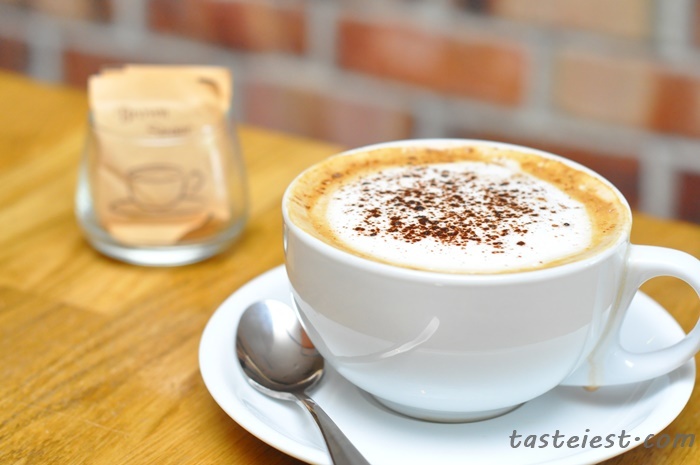 A pinch of lemon to gave some acidity taste that make it taste even better. 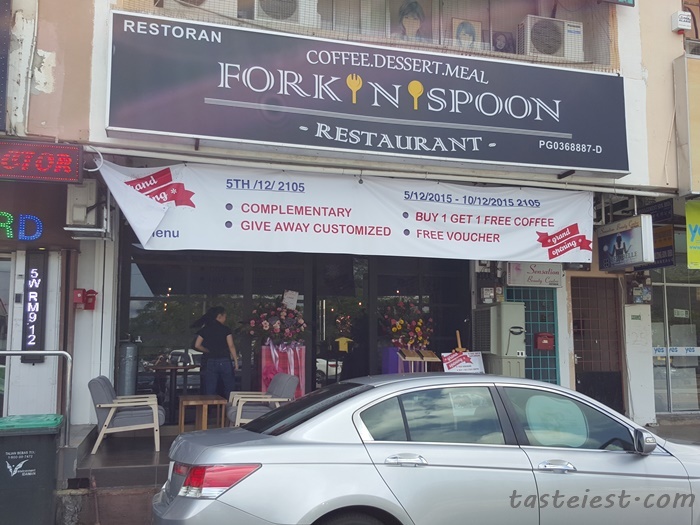 Mr Fork RM12.5, Hong Kong style waffle served with strawberry and ice cream. 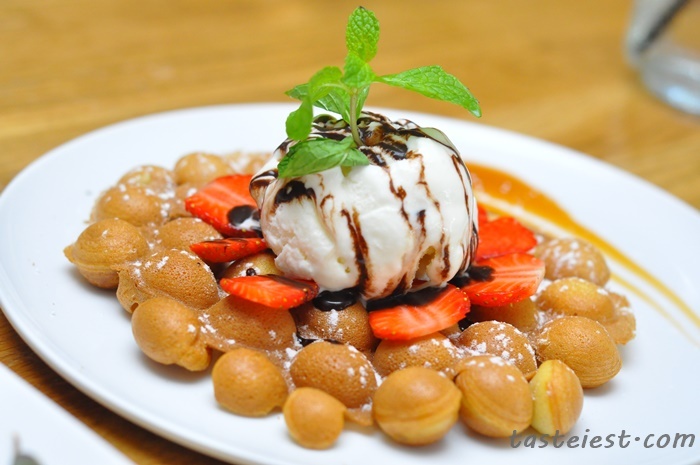 It is very crispy with strong egg fragrance, it is still crispy even the ice cream start melting on it. 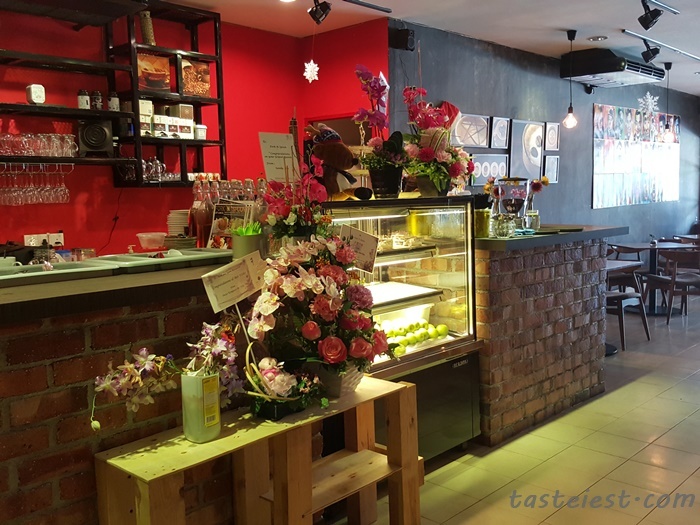 if this cafe served non-halal food?